Slice limes and cucumbers. Pull mint leaves from one stem. 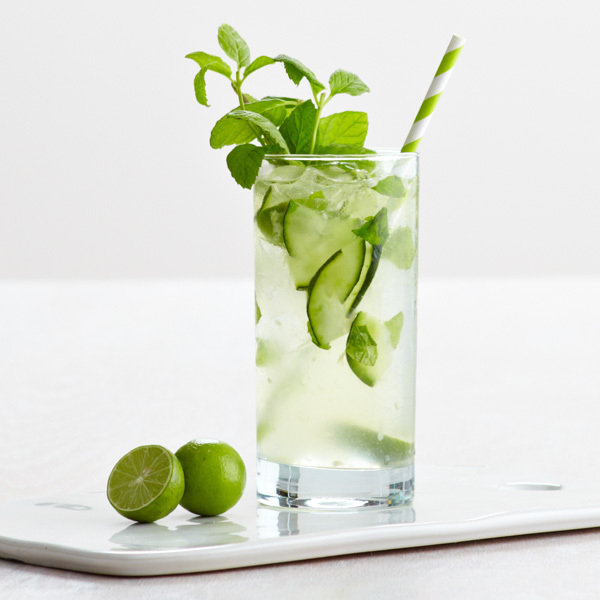 Muddle cucumbers, limes and mint with tequila and a swirl of agave nectar. Fill glass with crushed ice. 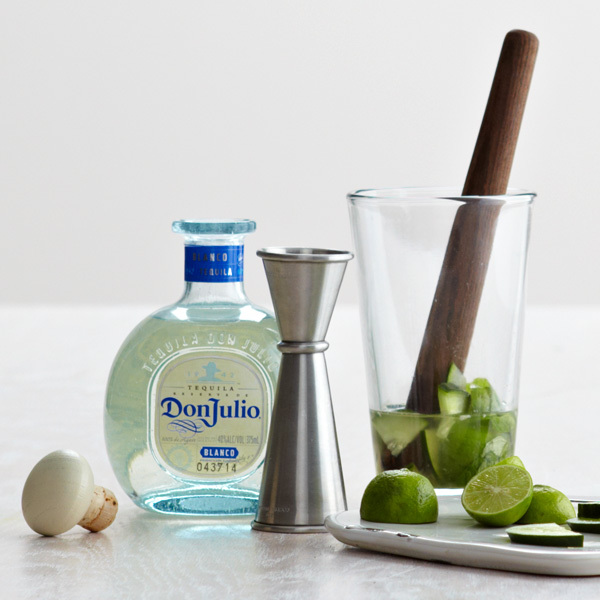 Add club soda and a splash of lemon lime soda. Transfer to tall glass. Garnish with a sprig of fresh mint. Enjoy! Need an indoor garden of your own? 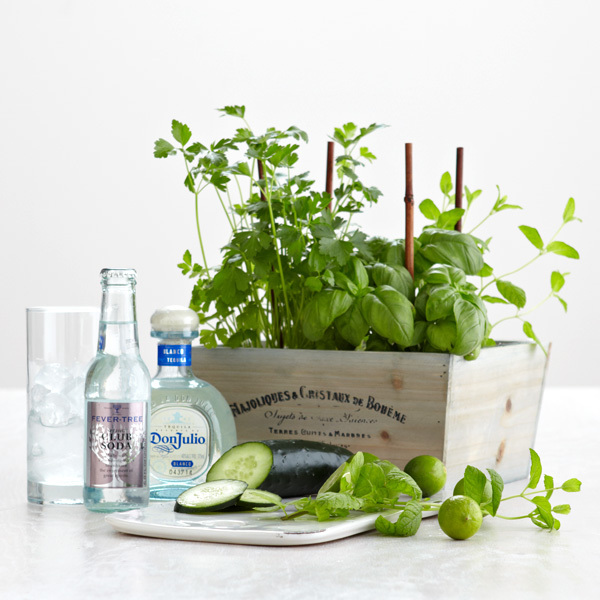 Find our featured Gourmet Herb Garden here.